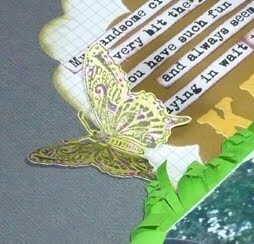 Thankyou for popping by my little blog. 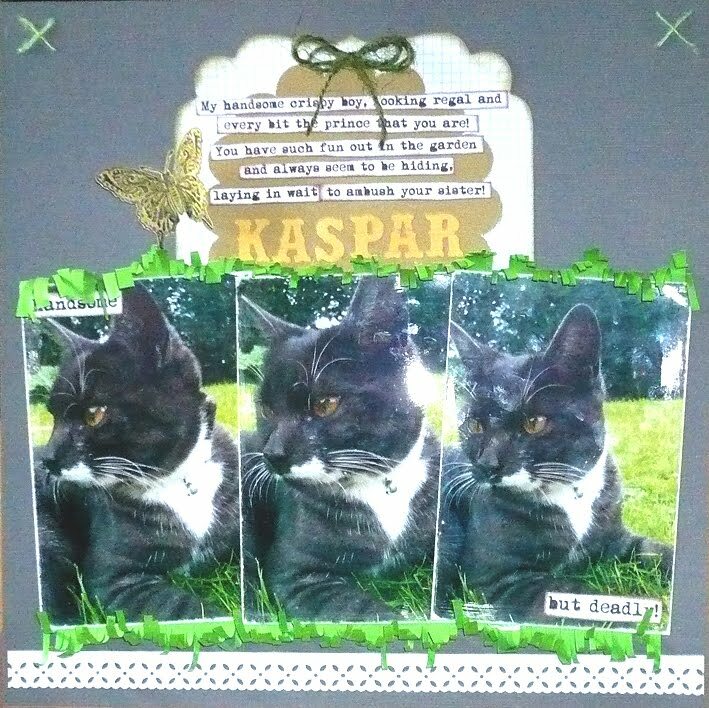 Today's entry is a new 12x12 LO of my cute cat Kaspar. This is him relaxing in the back garden. Cats love lazing in the sun so needless to say there hasn't been much of that happenning this year. When I got these photos developed, I noticed how zingy and lush the green grass looked (clearly all that rain must be good for the garden!) 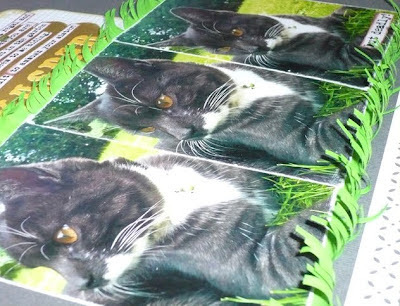 and I wanted to take advantage of that to draw attention to the photos. 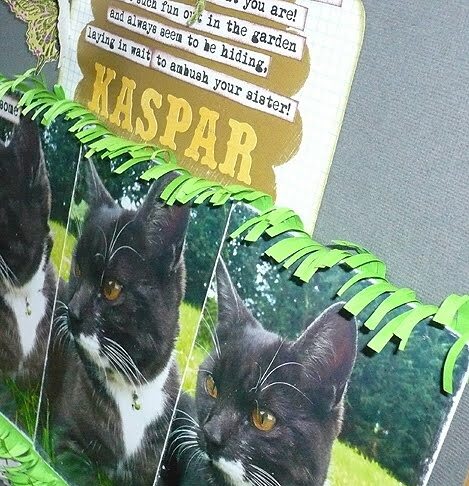 I thought it would be fun to make a cute, grass border with some bright green paper. I cut random slices into the green border and then ruffled it and curled it with my fingers so it would frame the photos. I think it looks fun and tactile - I couldn't stop playing with it while I was making it and the girls were intrigued by what I was going to do with it. I diecut the title with my BigShot and the text has been printed off and cut into strips - my preferred method of journaling! Don't ya just hate it when you write directly onto a layout and then go and make a spelling mistake or smudge the ink!